Johannesburg - Treasury will investigate a report by African News Network 7 (ANN7) claiming financial mismanagement of government's Integrated Financial Management System (IFMS). Treasury released a statement on Tuesday, indicating that the minister is looking into issues raised in the report. The ANN7 report claims that an internal Treasury audit into government’s IFMS revealed that Treasury committed 54 financial misconducts in just 70 months. No one had been held accountable for these alleged transactions and trail of mismanagement, ANN7 claimed. Gigaba said that it is a priority for Treasury to maintain public confidence and assured the report will be investigated. “It is in the interest of clean governance and the fight against corruption that we closely examine any report that is brought to our attention that relates to any claims of irregularity,” he said. The investigation is still on-going and Treasury will inform the public on the outcome, the department said. Gigaba affirmed his confidence in the integrity of Treasury’s past leadership. Treasury’s Director General Lungisa Fuzile departed from the department earlier in May. This followed a Cabinet reshuffle where President Jacob Zuma replaced former Finance Minister Pravin Gordhan with Gigaba. This has since led to the release of two state capture reports. These being the South African Council of Churches (SACC) “Unburdening Panel” report which unpacks a number of transactions linked to state capture. Gigaba does not agree with some of the conclusions reached in the report and will meet with SACC to discuss disagreements, said Treasury. 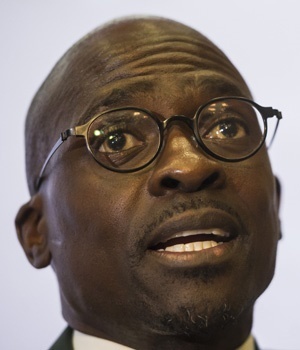 Gigaba was implicated in a second report by academics titled “Betrayal of the Promise: How South Africa is being stolen.” The report indicates that Gigaba was moved to Treasury to enable the president to control the department. Gigaba however has reiterated that he supports the ANC National Executive Committee’s (NEC) call for a judicial commission to investigate State Capture.